Metro Exodus Revealed. First Details Now Available. Flee the ruins of Moscow. After a gameplay reveal, Deep Silver and 4A Games today announced that Metro Exodus - the next chapter in the series of Metro games - is planned for release in 2018 on PC. A quarter-century after nuclear war devastated the earth, a few thousand survivors still cling to existence beneath the ruins of Moscow, in the tunnels of the Metro. They have struggled against the poisoned elements, fought mutated beasts and paranormal horrors, and suffered the flames of civil war. But now, as Artyom, you must flee the Metro and lead a band of Spartan Rangers on an incredible, continent-spanning journey across post-apocalyptic Russia in search of a new life in the East. Metro Exodus is a story-driven first person shooter from 4A Games that blends combat and stealth with exploration and survival horror. Explore the Russian wilderness across vast, non-linear levels and follow a thrilling story-line that spans an entire year through spring, summer and autumn to the depths of nuclear winter. Inspired by the internationally best-selling novels Metro 2033 and Metro 2035 by Dmitry Glukhovsky, Metro Exodus continues Artyom’s story. Be the first to learn more about this incredible new title by registering for updates at MetroTheGame.com, and follow us on Twitter and on Facebook. Dmitry Glukhovsky was born and raised in Moscow, and is the author of the internationally best-selling series of Metro novels and creator of the expanded Metro universe including the video games by 4A Games. 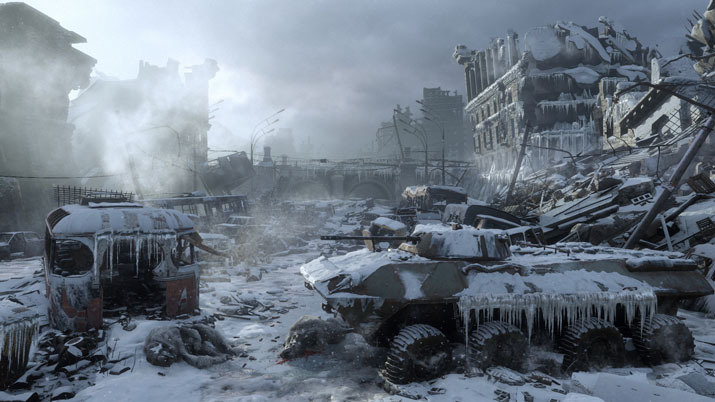 Metro Exodus continues the storyline as told in the games Metro 2033 and Metro: Last Light, and interweaves with the wider Metro saga contained in Dmitry's novels, Metro 2033, Metro 2034 and Metro 2035. 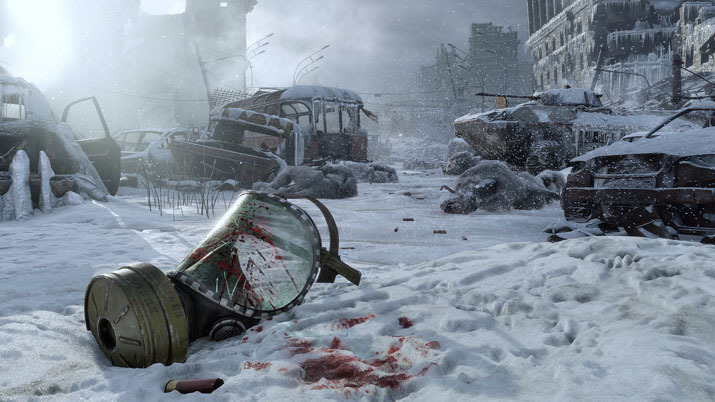 The storyline of Metro Exodus was co-developed in close collaboration with Dmitry to bring Metro fans the next chapter in Artyom's adventures. 4A Games is a multicultural, multinational video game development studio with offices in both Malta and Ukraine - known for its atmospheric first-person shooters Metro 2033, Metro: Last Light, and Metro Redux. Established in Kiev, Ukraine in 2005, the studio was founded by a passionate team of game industry veterans with the goal of creating AAA-quality games for current gaming PCs and then “next-gen” game consoles. In 2014, the studio moved its headquarters - along with more than 50 team members and their families -- from Ukraine to the island of Malta.